After suffering the disappointment of relegation back to LSL Premier, Seaford made a strong start to the 2012/13 campaign with a string of impressive performances early in the new campaign. After an opening day draw against St Colmcille's, their campaign started in earnest with a 2-1 win at Rathmichael Shankill, secured through Mark Hanratty's header. A 1-2 reverse at home against Wayside Celtic was the only disappointment of the early weeks, with the goals of pacey striker Mark Sullivan powering Seaford to the top of the table by early November. But they suffered a reality check away at Greenhills Greenpark, being thumped 4-1 by a side who, along with Portlaoise AFC, would set a blistering pace at the top of the table as the season wore on. With a rule change leading to a third automatic promotion spot, however, Seaford remained in contention in the slipstream of that pair of teams, coming from losing positions to win at Brendansville and draw at Colmcille's. But a run of three straight defeats, two against a magnificant Portlaoise side and a a more damaging one against fellow promotion-chasers Castle Park, threatened to derail Seaford's challenge entirely, only to bounce back with three wins on the bounce, including a rout of Blackrock College and a nervy 1-0 victory over Castle Park. Meanwhile, the side enjoyed an impressive run in the cup, trouncing Wayside in the opening round before coming from behind to edge out Spartak courtesy of a hat-trick from star man Sullivan. John Power's second half header was enough to see off RS and set up a semi final against Liffey Valley Rangers. 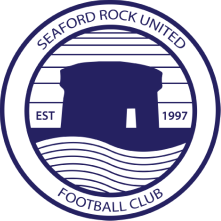 It was an engrossing clash at Rockfield Park between two evenly matched sides, but Seaford suffered heartbreak as the clock ticked past 90 minutes when Barry Shortt headed past his own keeper as he tried to defend a harmless punt forward - the only goal of the match. Paddy Hughes took over as second team manager, succeeding John Toomey, as the side prepared for a third consecutive campaign in LSL Sunday Division 2. The season began with a win over Beechhill United, with winger Stephen Faherty netting a prace, before disappointing defeats against Ballybrack Boys and St Patrick's CY. But the side then commenced an extraodinary run of eight wins on the bounce (as well as a walkover against Iveagh Celtic). In total, the side notched 33 goals during the brilliant run. THe midfield quartet of Faherty, Dave Devaney, Frank Mulhall and Rory O'Huiginn took a leading role, with Devaney recoding a string of spectacular goals, whilst striker Dan Kiely bagged himself eight in four games. The culmination of their form was against Cherryfield United, when O'Huiginn came off the bench to latch on to Collie Barrett's throughball and slot home a last-minute winner. An unexpected 1-5 reverse against strugglers Lazio brought the run to an abrupt end, but Seaford remained well place to mount a promotion assault. Things disintegrated after Christmas, however, as injuries and unavailability took their toll. The loss of keeper Mike Frawley to a back problem was especially damaging, and heavy defeats to the likes of Ballybrack Boys and Meath Rangers saw the side plummet down the table. In stark contrast to the first half of the season, the team won only of its last name matches, albeit that it was a dramatic and satisfying win over Meath's robust outfit, with Barrett netting the winner before receiving a red card moments later. Kiely (2), Faherty, O’Huiginn, o.g.